We are less than two months away from Sam Mendes' SPECTRE, the 24th cinematic outing of Ian Fleming's James Bond, exploding on to screen in the UK - on 6 November. In the run up to SPECTRE's release Sony have a little surprise for Bond fans and released a Bond inspired advert for their new Xperia Z5 smartphone and compact RX100 IV Cyber-shot camera. 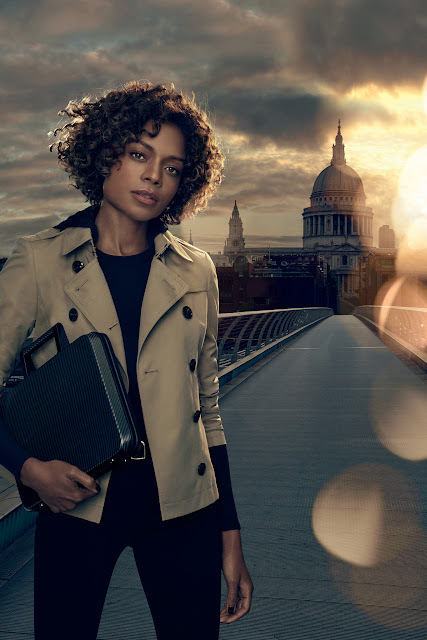 To create the advert they asked Danny Kleinman – the man behind many of the legendary Bond title sequences to direct and Miss Moneypenny herself - Naomie Harris to take the lead in the 60 Second advert highlighting the advanced functionality of both the Sony Xperia Z5 smartphone and compact RX100 IV Cyber-shot. All set to the iconic backdrop of Bond's home - London. Ahead of the release of the highly anticipated motion picture SPECTRE, Sony has unveiled its ‘Made for Bond’ advertising campaign, which stars Naomie Harris as Moneypenny. SPECTRE, from Albert R. Broccoli’s EON Productions, Metro-Goldwyn-Mayer Studios, and Sony Pictures Entertainment, will be released in the UK on October 26 and in the US on November 6. The campaign officially launches with the TV commercial, which will first air in the UK on 1st October 2015 and will run until 8th November. The media campaign led by MediaCom also encompasses print, retail, digital and OOH. With its compact size, the power of the premium RX100 IV camera – featuring the a world’s first1 1.0 inch type stacked Exmor RS CMOS sensor, 40x super-slow-motion video capture at up to 1000fps2, and the ability to speedily read data 5x faster than previous models – makes it the perfect accessory for Moneypenny. With the fastest autofocus in a leading smartphone3 delivering a ground-breaking speed of just 0.03 seconds, a fingerprint sensor integrated within the iconic power button, and beautifully sleek waterproof design, the Xperia Z5 is an advanced next-generation smartphone ideal for Bond. The Xperia Z5 was recently announced on the 2nd September 2015 and will be available globally from October 2015. After Hornsey Art School, Daniel went on to work as an illustrator, also collaborating on storyboards with directors working in the emerging music video industry. 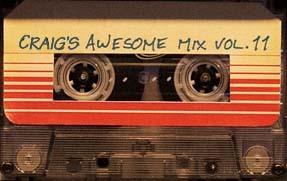 This led to Daniel’s first music video in 1983, seeing him break in to the scene at its peak; just as the “MTV-Generation” was born. Daniel pioneered the use of special effects in post-production over the course of directing more than 100 videos in the 80s, winning numerous awards for work with artists such as ZZ Top, Fleetwood Mac, Prince and Madonna. As one of first to use visual effects in music videos this allowed him to spread his wings in the commercial world. The commercial work created by Daniel combines unequivocal humour, perfect-timing & familiar faces; such as Rowan Atkinson, James Franco, Jean Claude Van Damme, Johnny Vegas & Peter Kay. Daniel has also directed TV drama and comedies, notably Harry Enfield and Paul Whitehouse’s “Smashie and Nicey – The End of an Era”, which was BAFTA nominated and won the rose at Montreaux. Daniel’s interest in special effects has never waned; with him working alongside famed friends, Framestore, to create the ubiquitous resurrection of Audrey Hepburn for the 2014 Galaxy ‘Chauffeur’ commercial. After Maurice Binder’s passing in 1991, Daniel directed a Bond-inspired promo for the theme song for Gladys Knight. This led to him becoming the much coveted director for the Bond title sequences, with greater emphasis being put upon modern technologies used in post-production. Since 1995’s GoldenEye, Daniel has taken over the mantel and produced 6 of the last 7 Bond title sequences. 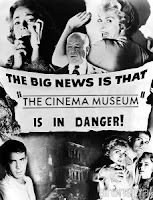 In 2006 Daniel and fellow director Ringan Ledwidge founded Rattling Stick. Now home to fifteen directors and with an office in the US, Rattling Stick remains a small, spirited production company. To date Rattling Stick has won the Televisual Peer Poll 4 times, Production Company of the Year twice, Campaign Production Company of the year 3 times, The Gunn Reports Most Awarded UK Production Company twice and Production Company of the Year at The British Arrows 4 times. Rattling Stick recently entered into partnership with Hartswood Films (Dr.Who, Sherlock) and Riley Productions (Steve Barron’s production company) to produce ‘Justice’ (working title for the project) a series drama based on an original idea by Daniel Kleinman, which is in development at the BBC.